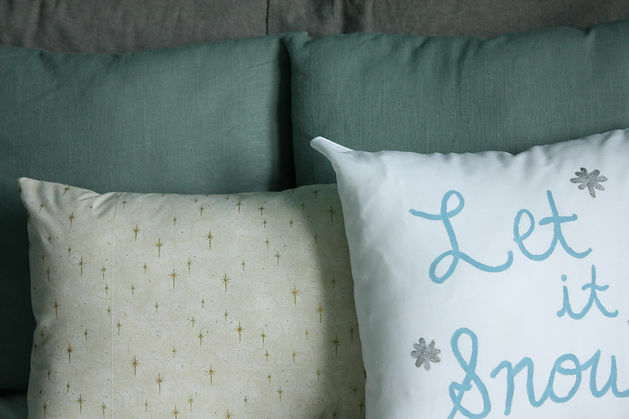 Sometimes it's hard finding the fabric you want for a DIY decorative throw pillow, so why not design the fabric yourself! 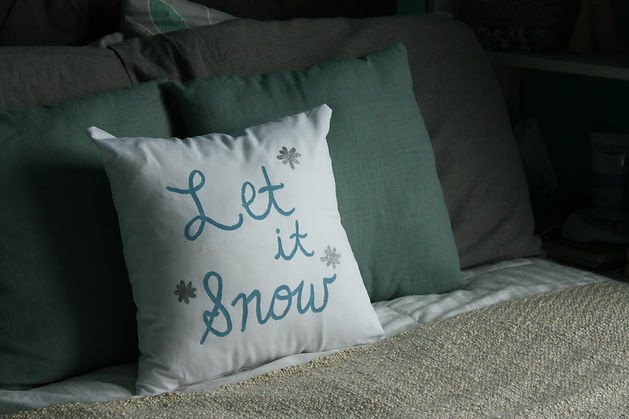 Sew a pillow using plain white cotton fabric (see below for a sewing tutorial) and use craft paint to write words or draw designs on it! 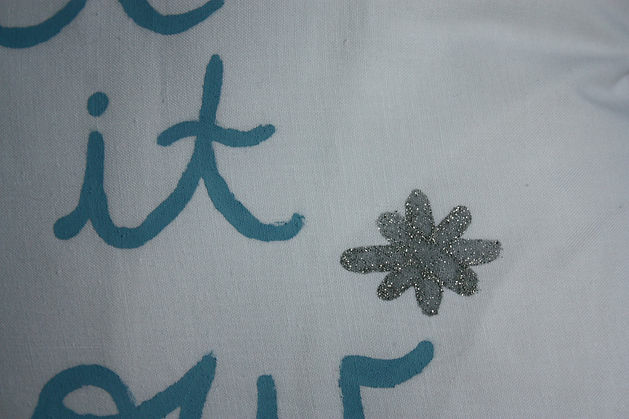 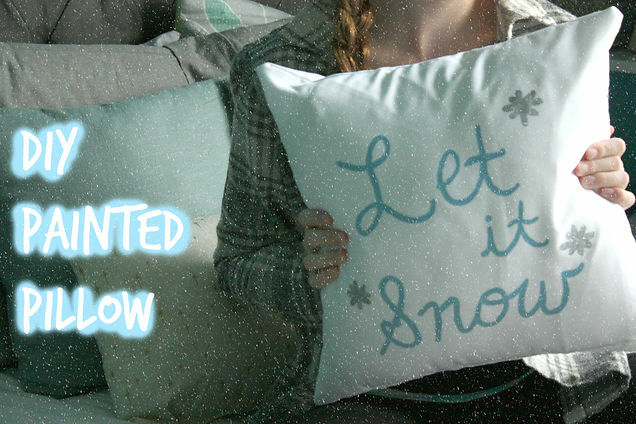 Since it's January, I chose to paint the phrase "Let it Snow" in blue, and add metallic silver snowflakes. 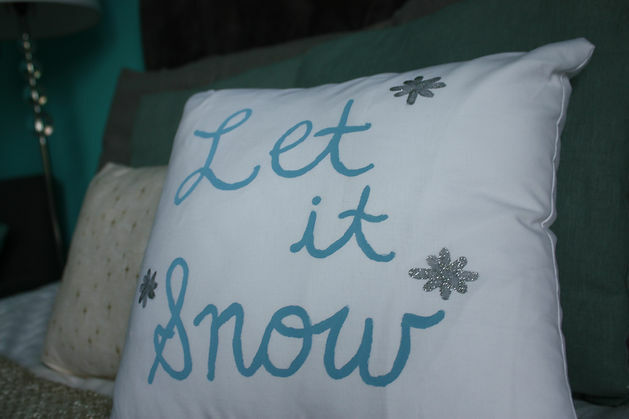 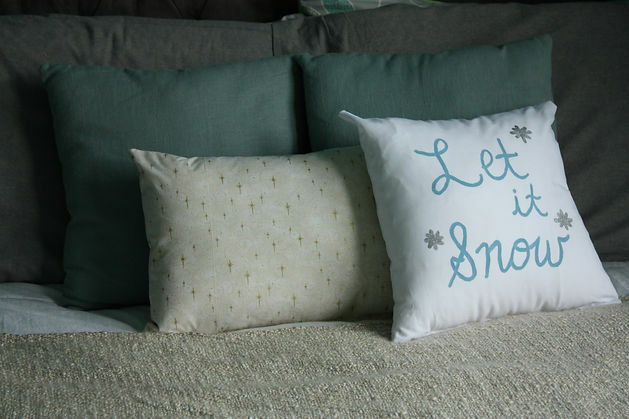 What words or drawings would you put on your painted pillow? 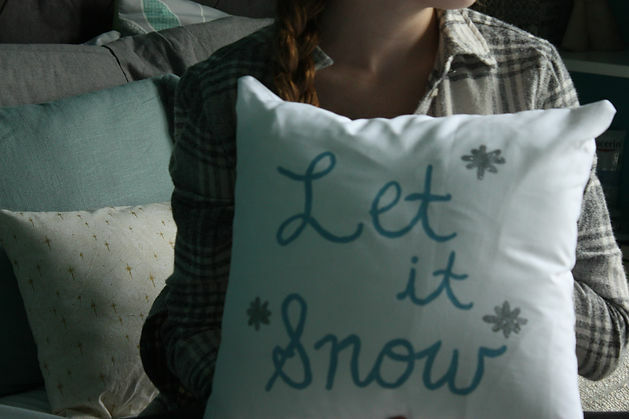 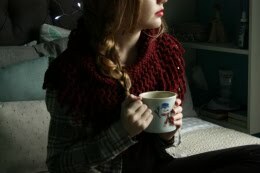 See my decorative pillow tutorial here!